Around 100 musicians took to the stage to mark the start of the annual festival. 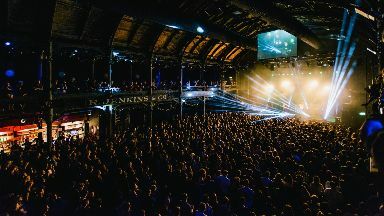 Celtic Connections 2019 has kicked off with around 100 young Scottish musicians taking to the stage. The annual music festival's opening concert at Glasgow Royal Concert Hall featured included artists Julie Fowlis and Duncan Chisholm, among others. It was the first of over 300 events featuring more than 2000 musicians from around the world, taking place in venues across the city until Sunday February 3. Donald Shaw, creative producer for Celtic Connections, said: "With each new Celtic Connections we look to bring together artists, ideas and unique collaborations that create powerful and moving work that can be enjoyed by audiences and musicians alike. 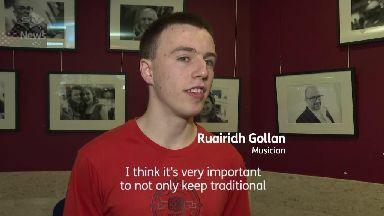 "Each year we present a selection of the best music and musicians you can see anywhere in the world and through all this we remain true to our Celtic roots - roots that began with a journey of discovery by a nation that is always searching. "Celtic Connections will also once again be at its heart a celebration - a coming together of people from across the world to enjoy live music and, as always, it is that I am most looking forward to." The festival's programme features concerts including one-off musical collaborations and special commissions alongside talks, workshops, film screenings, theatre productions, ceilidhs, exhibitions, free events and late-night sessions.